Marion Cotillard, La Vie En Rose Of all the elements that make Olivier Dahan's Edith Piaf biopic such a powerful work, Marion Cotillard's transcendent performance is by far the greatest. 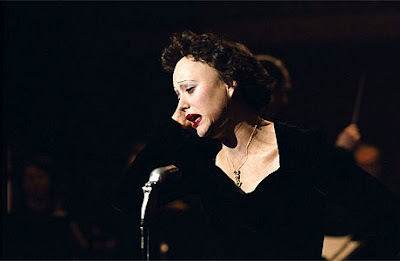 For over two hours, she is Edith Piaf, inhabiting her heart and soul as if it were her own skin. The French actress' dazzling portrayal represents the very essence of acting, and it is one of the most jaw-dropping transformative performances ever captured on film. 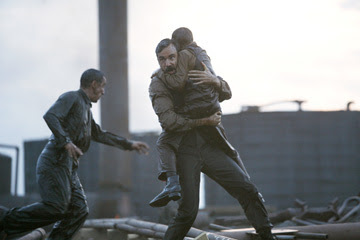 Elegy for Dunkirk, Atonement Last year, cinematographer Emmanuel Lubezki earned universal acclaim for his lensing of Alfonso Cuaron's distopian masterpiece Children of Men, with much of the praise stemming from its two lengthy powerhouse tracking shots. 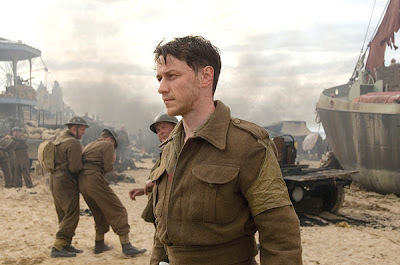 Now joining them in the annals of great one take shots is the scene at Dunkirk beach in Atonement, a tracking shot by cinematographer Seamus McGarvey following romantic lead Robbie's stunned walk through the devastated and demoralized British army on the beaches of Dunkirk, where they retreated from the German advance. Featuring some of the year's most haunting imagery (the looming ferris wheel enshrouded in smoke is impossible to shake), the scene is the year's most perfect marriage of all the cinematic arts, from cinematography to art direction to Dario Marianelli's luminous score (the choir of soldiers is an especially heartrending touch here), that all came together to form the best single scene of 2007. Jonny Greenwood, There Will Be Blood It was an underwhelming year for movie scores overall, but Jonny Greenwood's chilling and beautiful score to There Will Be Blood stands out from the rest. It has aptly been referred to as "Philip Glass on crack" for its reliance on minimalist strings, which create an atmosphere that is at once appealing and unnerving. One could easily by lulled into the haunting soundscapes of There Will Be Blood, only to be jarred by the dark, harshly atonal outbursts that make this such an eclectic and varied score. Greenwood's roots are in rock and roll (he was a member of the band Radiohead), but he proves here that he is equally comfortable with classically inclined works. There is no score this year that has had as great an impact. 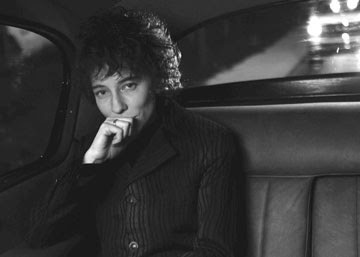 I'm Not There Not only did Todd Haynes use a variety of actors to portray Bob Dylan for his cerebral, free-associative biopic, he also chose a variety of musicians to interpret and bring his music to life. From Eddie Vedder to Sonic Youth to Willie Nelson to Iron & Wine to Jack Johnson to Glen Hansard & Marketa Irglova (who also provided the delicately gorgeous soundtrack to Once), I'm Not There's riotous, free-wheeling soundtrack is every bit as eclectic and creative as the man himself, with its myriad interpretations that are both beautiful and thrilling. It's impossible to pick a standout here, which is what makes the 2-disc set so endlessly appealing. The rebellious spirit of Bob Dylan is alive and well here, in an interpretation every bit as thrilling as the film itself. Once No other movie since Lost in Translation has so perfectly captured the beauty and longing of a fleeting romance characterized by a chance encounter as Once, John Carney's shimmering Irish gem about a street musician who decides to pursue his dream of recording an album after meeting a beautiful Irish immigrant who takes an interest in his music, and together they spend one whirlwind week pursuing his dream. 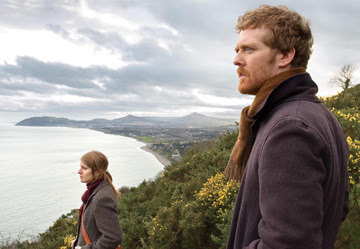 Featuring some of the year's most beautiful and tender music (courtesy of the film's stars, Glen Hansard and Marketa Irglova), Once is a charmingly low-budget musical that earns its emotions honestly through music and the appealing presence of the two leads. What Once lacks in production values it makes up for in spades in heart. Movies like this tend to be a dime a dozen - underdog stories about teams no one has heard of ascending through the ranks to take on the big leagues. 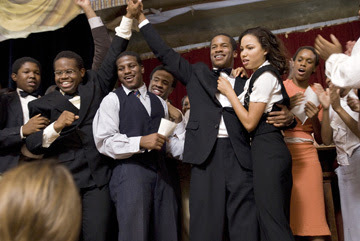 But what sets Denzel Washington's second feature film as director apart is its heart. Directed with a loving earnesty, Washington works within his given formula to create something truly moving and inspirational. Even though we know the outcome going in, he still makes it seems momentous through true dedication and admiration for his subject and three-dimensional characters worth caring about, and in the makes a proven formula seem joyous and new again. This is a powerful piece of mainstream filmmaking that deserves to be cheered. Michael Clayton Without giving anything away, Michael Clayton's haunting denouement is hardly conventional. Instead of giving us the usual tidy conclusion, director Tony Gilroy gives us time to contemplate its implications with a tracking shot that lasts throughout the end credits, leaving a powerful impression on the audience. It doesn't end with a bang, it ends with something much more effective. Great World of Sound Haven't heard of Great World of Sound? Well, you're not alone. 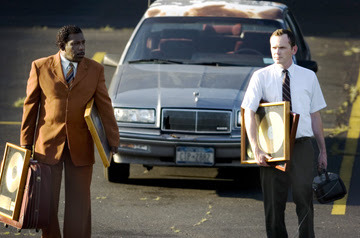 But Craig Zobel's unique comedy about two wannabe record producers who are hired by a phony company to scout for talent, to hilarious results, deserves to be seen. It's also surprisingly poignant in its insight into the American obsession with musical talent and humiliation, making Great World of Sound one of 2007's hidden gems. The story of Adrienne Shelley's life may have ended in tragedy, but the legacy she left behind is as warm-hearted and beautiful as they come. Waitress, her directorial debut, is the very embodiment of that - a sweet, endearing comedy with plenty of Southern charm about a pregnant waitress stuck in a miserable marriage, who finds happiness and love in the form of her young, handsome doctor. Sweet without being saccharine, witty without being cynical, Waitress is a truly wonderful film that brings laughter and tears with equal dexterity. Knocked Up Yet another comedy about an unplanned pregnancy, except this time with the raunch factory seriously ramped up. But like its predecessor, The 40-Year-Old Virgin, Knocked Up also manages to be beautifully endearing, and unlike so many other teen comedies, positive and uncynical. And much, much funnier...it's the most sidesplitting film of the year. In the Valley of Elah Tommy Lee Jones gives the year's most overlooked great performance in this involving and moving mix of mystery and war drama about a father searching for his son who went AWOL upon returning from Iraq. Has much to say about the conflict in Iraq without ever being preachy, and featuring one of the year's most searing final images, In the Valley of Elah has been more unfairly ignored than perhaps any other film this year. Paris, je T’aime I just felt the need to give this movie a shout-out, because it's one of my very favorite films of the year. I can't in good conscience put it on my top ten list because it is an anthology film where there are a couple of weak links in the chain, but the ones that work really click and the result is nothing short of magical. This collection of 20 short films from 22 world renowned directors exploring love in the City of Light is a delicately charming as they come, a dazzlingly romantic feast for the heart that is as uplifting and swoon-worthy as anything this year. Paris, je T'aime is a true treat. Black Snake Moan What more needs to be said? It's been an excellent year for documentaries, but these four films tackle gay rights, the Lost Boys of Sudan, the bungling of the war in Iraq, and what's wrong with America's healthcare system with such power that they are impossible to ignore, and essential viewing for anyone living in this country. Each takes a different approach to its subject, and some are more evenhanded than others, but they are all eye-opening experiences that should not be missed. These are films with the power to make a difference, if only they could find the right audience. A great list of shout-outs. Though I may have my own personal favorites in this or that category, your choices are hard to argue. I think it's high time I corrected the error of skipping Great World of Sound. Anthology with a couple of weak links or not, don't be surprised if Paris je t'aime shows up on my own Top 10 list.